It’s another new gun for the game of 2018. 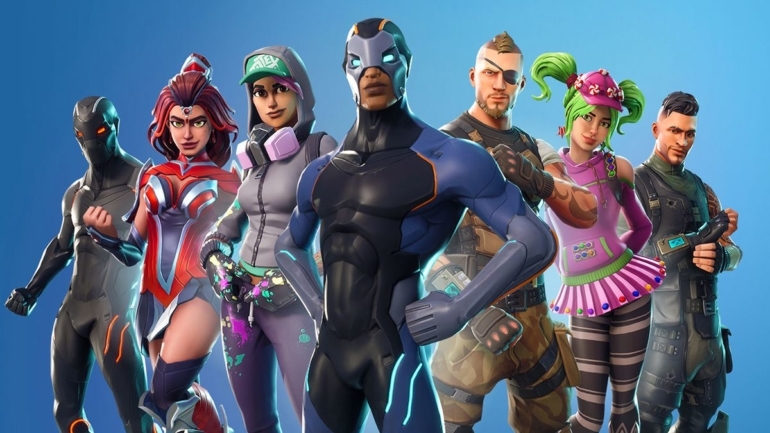 Just a couple of weeks after setting patch day back to Thursdays, a surprise Monday Fortnite patch has caught everyone off guard. The downtime for the new v4.4 update has begun—and despite the odd timing there doesn’t appear to be much out of the ordinary in the patch notes. The headline from the patch is the addition of the Thermal Scoped Assault Rifle. The new gun was teased in game just a day ago. It looks like it’s going to be pretty powerful, with 36 and 37 base damage on the Epic and Legendary variants. Some had speculated it would just be a legendary weapon to follow a progression from the current Scoped Assault Rifle, like the epic and legendary Burst Rifle added recently. But the Thermal Scoped has an Epic variant too, and a big jump in damage—so you’d imagine there will some other drawback like a smaller magazine or slower fire rate. Those details aren’t in the patch notes. The Bouncer trap, added in last week’s patch, can now be attached to stairs and sloped roofs. Players have already had a lot of fun with crazy bounce contraptions, so this will likely only push things further. The patch also contains a ton of bug fixes, mostly for the Shopping Cart, and two new LTMs—Sniper Showdown v3 and 50V50 v3.